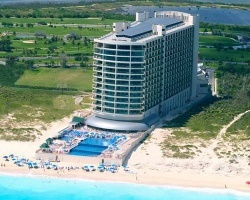 The *Blue Paradise Resort* faces the Caribbean on one of Cancun's most beautiful beaches, and is located only 10 minutes by car from the airport. 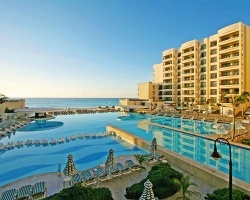 At this all-inclusive resort, vacationers will experience water sports, tennis, volleyball, and entertainment. The adventurous can explore the mysteries of the Mayan civilization on excursions to the area's ruins. 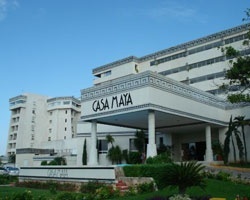 Cancun, considered paradise by Mayan kings, is home to Club Casa Maya. As visitors walk along dazzling beaches and skin dive in tranquil turquoise lagoons, they will realize they've encountered a rare treasure. 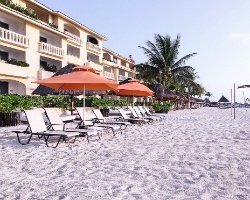 Worthy of its idyllic setting, the beachfront resort boasts three outdoor swimming pools, tennis courts, and marina club services to help guests enjoy the beautiful Mexican Caribbean. 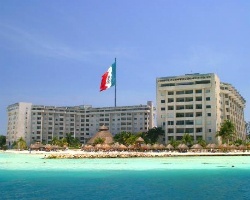 *Fiesta Americana Villas Cancun* is located 15 minutes away from the International Airport in beautiful Cancun, Mexico! 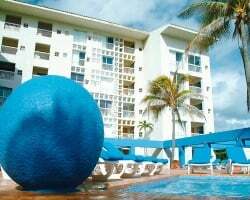 Situated on powdery beaches overlooking the crystalline turquoise water of the Caribbean Sea, the resort features three horseshoe-shaped towers surrounded by lush, tropical foliage, cascading waterfalls and clear, cool swimming pools! 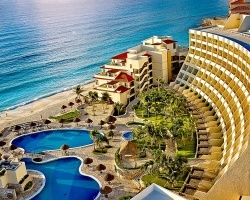 The resort's distinctive architectural design creates an intimate and exclusive ambiance, beginning with the largest palapa in Mexico, 115 feet height, shading the expansive lobby to the hotel's extraordinarily beautiful swimming pool, bar and restaurants accented by a foot long waterfall. 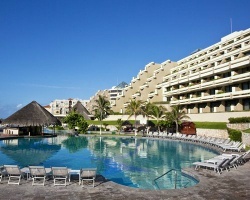 For more information about this resort, visit www.fiestamericana.com. 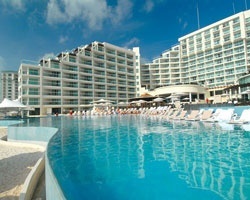 Begin your vacation in tropical paradise at the *Golden Shores and Crown Paradise Club* in beautiful Cancun, Mexico! 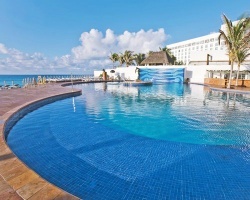 The resort boasts a magnificent beach, and for those hot chili-pepper afternoons, there's an indoor pool. Sample exotic drinks at one of the resort's six restaurants. 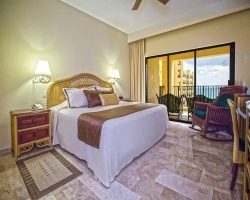 Comfortable units, each with a glorious view of the Caribbean, compliment your vacation. 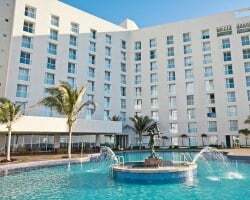 *The Grand Lifestyle at Grand Oasis Sens* is a 5 star all-inclusive, adults-only resort that is focused on relaxation; ideal for couples who want to enjoy a romantic atmosphere surrounded by amazing views of the Caribbean Ocean and the Nichupte Lagoon. 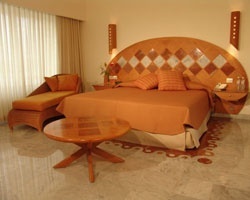 This idyllic resort provides an environment that is romantic and relaxing, as well as warm, inviting and exciting. 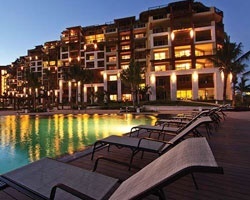 The resort focuses on active amusement, evening entertainment and fascinating grounds that include an exotic garden and infinity pool with a cascading waterfall. 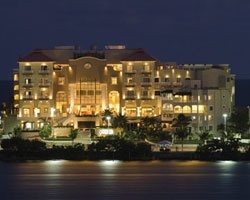 Guests can experience the twelve restaurants and ten bars located throughout the resort as well as live entertainment, courtesy of the entertainment staff. 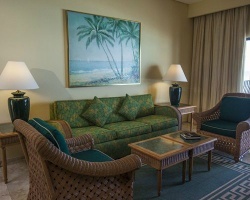 Guests can also relax on the white, sandy beach complete with palapas and chaise lounges. 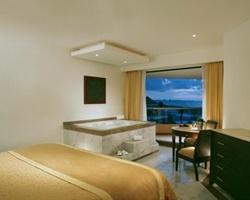 There is also a modern Spa set within a calming atmosphere, gym and gift shop. 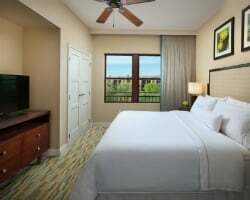 The Great Parnassus Resort and Spa, a beachfront resort, offers a variety of options for your leisure vacation, including live entertainment, outdoor activities such as tennis, mini golf and a water park, Treasure Island. With 13 eateries and bars offering a cornucopia of cuisine, from international food at Magnus to nouvelle French at La Maison de Michelle, every palate is pleased. For a luxurious and relaxing wellness treat, get pampered with a full menu of treatments at the spa. Also, you can celebrate that once-in-a-lifetime event under breathtaking settings that make your event memorable for all. 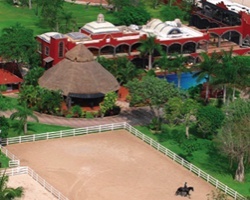 *Hacienda Andalucia Equestrian Club at Sunset* is a premium vacation membership by Sunset Resorts. Your membership includes luxury accommodations at the Sunset Lagoon for every visit, an all-inclusive meal plan, spa discounts, family activities, and of course, use of the facilities at Hacienda Andalucia equestrian center. At the equestrian center, members will be treated to private and one group dressage, a jumping or polo lesson, trail riding tour through the Mayan jungle, plus a Hacienda Nights Mexican Fiesta. 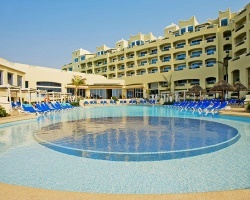 For more information about this resort and the Hacienda Andalucia membership, visit www.sunsethotels.net. 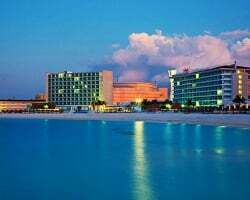 Located on a beautiful stretch of white sand beach, Beach Palace in Cancun is an optimal family vacation resort part of the Palace Resorts network. 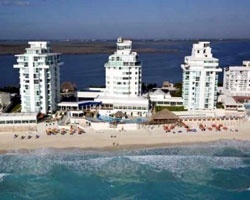 In the heart of Cancun's hotel zone, a variety of shopping and entertainment is available. 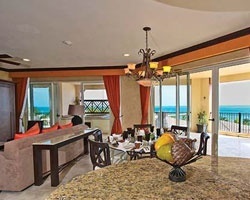 The resort's 287 guest rooms have been designed with balconies and offer sea or lagoon views. 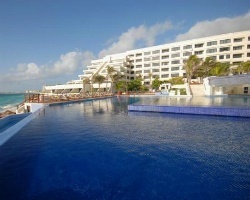 Luxurious pools, spa treatment rooms, and restaurants add to the comfort exuded by Beach Palace. 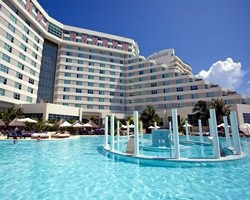 For more information about this beautiful escape, visit www.palaceresorts.com. 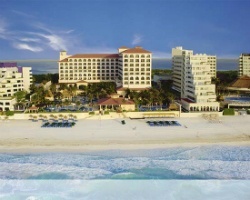 Beautiful beachfront resort with luxurious amenities! 1,575 annual points! Buyer may receive a title fee credit, inquire for details! 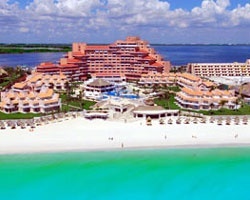 Charming resort in Cancun with many luxurious amenities! Floating, gold week! Inquire for more details! Highly motivated Seller. Price Negotiable! 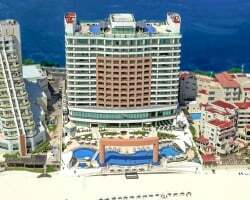 Come explore all the culture and entertainment in Mexico! 50,000 odd year points! Inquire for details! 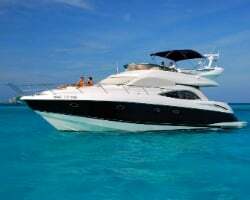 Choose any floating week you desire to visit Cancun, Puerto Vallarta, and Manzanillo! Luxurious accommodations! Buyer may receive a title fee credit! 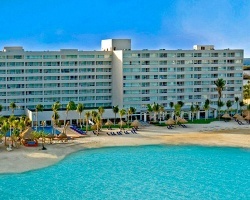 Beautiful beachfront resort! RTU until 2067! Buyer May Receive A Title Fee Credit, Inquire For Details! No holiday restrictions! Motivated seller! 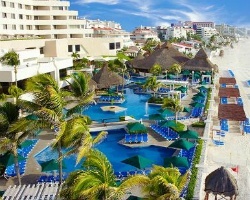 Ideal resort for peaceful and relaxing vacations! 1,000 annual points! Buyer may receive a title fee credit, inquire for details! 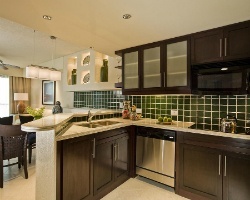 Maintenance fees are paid through the year! Buyer may receive a title fee credit, inquire for details! 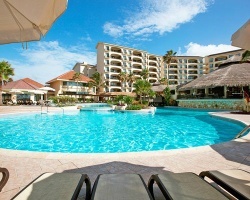 Beautiful Caribbean paradise surrounded by pools, beaches and more! Floating, gold plus week! Buyer may receive a title fee credit, inquire now! Motivated Seller! Membership comes with 1 presidential week or 2 Jacuzzi weeks a year! Buyer may receive a title fee credit, inquire for details! Motivated Seller. 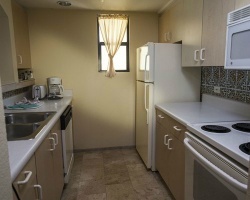 Beachfront property with 2 golf courses and the marina nearby! Buyer may receive a title fee credit, inquire for details! 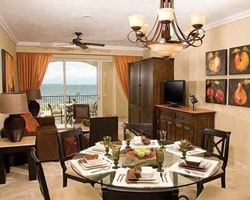 Stunning resort only steps from the beach! RTU until 2040! Buyer may receive a title fee credit, inquire for details! 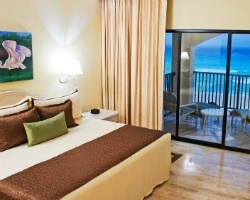 Leave all your stresses behind and come relax in Cancun! Buyer may receive a title fee credit, inquire for details! 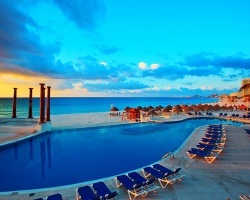 Come enjoy breathtaking turquoise waters, beautiful sunsets and more! Floating week! Buyer may receive a title fee credit, inquire for details! 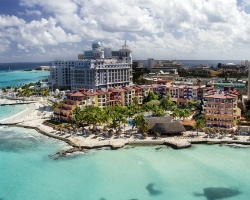 Explore Cancun during week 47 every year! RTU until 2049! Buyer may receive a title fee credit, inquire for details! 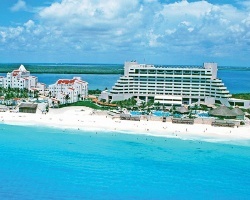 Dazzling beachfront vacation mecca! Week 47 every year! Buyer may receive a title fee credit, inquire for details! 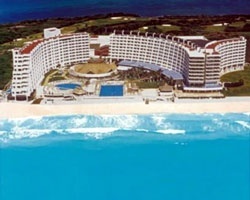 Spectacular resort on the ocean! Week 46 every year! Buyer may receive a title fee credit, inquire for details! Week 8 every year! Price is negotiable. Right To Use to 2023. Residual rights will be transferred to new owner.